This three-in-one cranberry milk toner cleanses, tones and hydrates, infusing skin with protective antioxidants to leave it glowing and refreshed. Removes dirt, oil and makeup. Neutralizes free radicals with Vitamin E.
Nourishes and heals skin with omegas. I got samples of the cranberry toner and white tea cleanser with my purchase. And this brand definitely got a space on my warning list. My Skin Type: a combination skin with oil "T" zone and redness on cheeks, I do admit that my skin is slightly/moderate sensitive. Location: Miami However, this product broke all the balance on my skin after three time uses. It doesn't work on any the T zone oil and It made REDNESS more serious, even cause slightly sensitive. And personal I don't like the strange smell that is harsh and fake. Note: For testing this brand, I used spring water spray and Sulwhasoo Snowise Whitening Fluid (which I use regularly for long time) with two ARCONA products. And I am good with pink toners from Elizabeth Arden and Lancome Objectively speaking, this product just doesn't work on me and this is a red label 🚩for girls who has same skin type as me. I absolutely love this product! Smells wonderful and doesn't leave my skin feeling dry! This is a fantastic toner. I have been using it am and pm for several years. It has improved my complexion immensely. I swear my pores look smaller. And as a bonus, it smells lovely! I highly recommend! I am on my third bottle of this toner. I love how it tones the the skin without overdrying and it smells great! 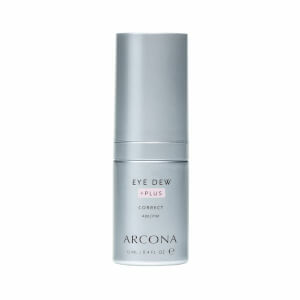 I have been using Arcona for about a year and I am very happy with the entire Arcona line. My skin looks and feels great!! I can't really talk about the efficacy of this product because I couldn't get past the overwhelming and, in my opinion, artificial-smelling fragrance. It's important to note that the scent (as best I could tell from the listed ingredients) is derived from a combination of essential oils, but that doesn't make it any more pleasant for a male audience (and my best guess leads me to believe that many females would find this scent both unpleasant and overwhelming as well). Why does cranberry toner have to smell like an acidic bunch of dried flowers?? Simply put: it doesn't. Worse yet, the smell lingers. Regardless, many seem to enjoy and receive great benefits from this product, but it's obviously not aimed at a male audience. This product smells great and removes any lingering makeup or grime your face wash misses. I love it because it is gentle on my skin and leaves it soft! Does not dry it out at all. 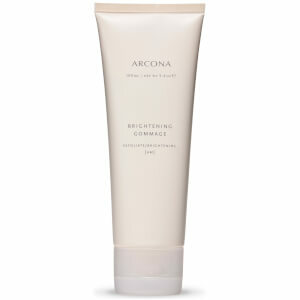 I only recently discovered the Arcona line and I have really enjoyed using a few of their products. I like this cranberry toner as it offers a quick, easy way to freshen the skin. I've used it to remove a full face of make up and as a freshener in the mornings..it does a very effective job...and the scent is just lovely too!Great product from a GREAT company!